Rose is a specific sort of wine that incorporates colours from the grape skins. The intensity of pink colour of rose wines is determined by how long the grape juice is in the contact with the grape skin during the wine making process. 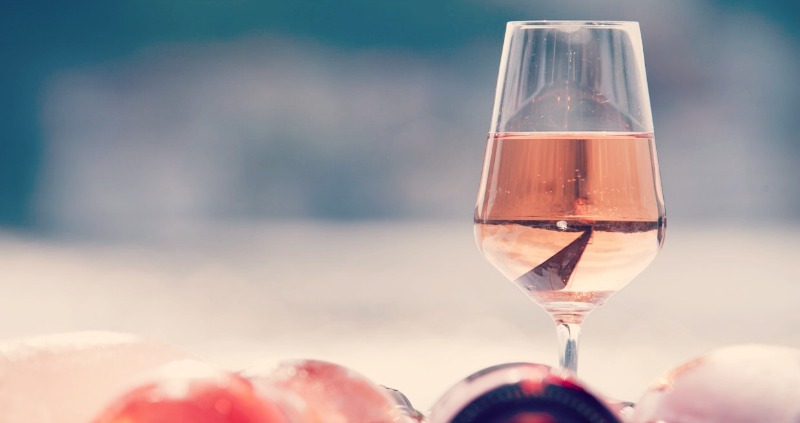 The “pink wine” had been on the ‘do not drink’ list for many years, but recently, due to many improvements, it has become a synonym for summer. Fresh, sweet, complex and fashionable, rose wine is definitely the favourite alcoholic beverage for summer. Roses go perfectly with warm weather, easy and light foods, such as salads or fresh vegetables. If you are looking for tried rose wines for a dinner party, here are the most popular ones. This rose wine is definitely a must-try. Thanks to the pleasant pink colour and an elegant bottle, 2013 Jacob’s Creek rose has won multiple awards (trophies and gold medals) at international wine competitions. This cheeky rose wine has fruity flavour with red berries and a delicate spicy background. It is low in alcohol, but its one-of-a-kind taste makes it worthwhile. Domaine de La Croix Irresistible Cru Classe Rose, vintage 2012, is a dry and bonny style of rose wine that can turn any ordinary dinner into an extraordinary. This wine has a luxurious-looking bottle that makes a fashion statement, but what’s inside is what counts. The Irresistible Cru Classe Rose is a mixture of Shiraz, Grenache and Vinsault, and features a fruity flavour of raspberries, citrus on nose and soft spice and a crisp, light-bodied palate. This summer rose wine is also among the most popular ones. Made from Syrah or Shiraz, 2013 Cape Jaffa Rose de Syrah is made with the latter most quality conscious method. This dry wine features sweet fruit aromas and flavours of the red berries and cherries. With a light-bodied palate and natural fruit sweetness, this rose wine is exceptional. Skillogalee is a popular wine maker and it has been producing high-quality wines for years. The Clare Valley Rose is a result of the incredible blend of Malbec and Cabernet Sauvignon and 100% dry grown Clare Valley fruits. The fruits are hand-selected and harvested specifically for this wine variety, so that its fruit character is intense. With a fresh and live palate and strawberry flavour, this Skillogalee rose wine is ideal for summers, paired with Asian cuisine (light foods).